Extreme extended techniques on electric bass, trumpet, and percussion intermarry with nasty homemade electronics and circuit-bent keyboards to re-define the boundaries of a kind of beauty that as yet has no name. Music can be avoided. Tom Djll (of Grosse Abfahrt) and Jacob Felix Heule (of Sult) got together to try out some ideas from a Nicolas Collins hardware hacking workshop, and invited Matt Chandler (of Burmese) to make sure it didn't get too quiet. It ended up sounding like the nastiest seconds of an electric Miles concert splintered off and expanded into their own band. 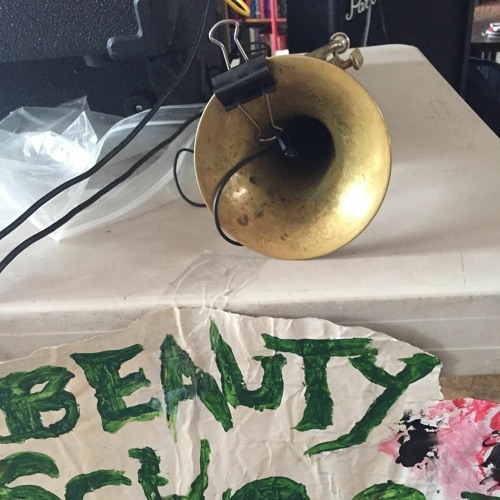 Chandler named the band Beauty School after the Idea Fire Company album.